Guess what?!! We're adding to the team! It's about taking a Technique to the next level. Maybe combining two techniques to add some punch! Thinking outside of the box! Add a little variation to the norm! Being innovation & creative! Adding that twist to give your creation a little extra umph! Does this describe you? Intrigue you? Good! 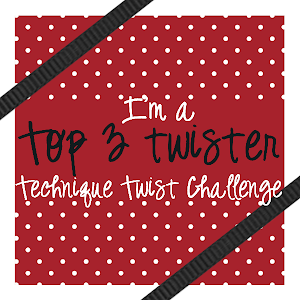 Because we're looking to add a few people to join the Fabulously Twisted Design Team! This DT Call is from Sunday, November 10 to Sunday, December 8 and the term will begin Saturday, January 4 for a six month period. All entrants will be contacted by Friday, December 20 about whether or not they have been accepted. Please make sure that you are able and willing to do all of these things as well as commit to a 6 month term before applying. 3. Schedule your own post to go live on your blog at the same time the challenge goes live. You must have an active blog that is regularly updated. 4. 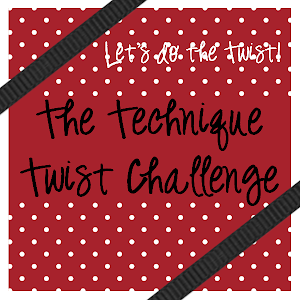 Describe in detail your technique twist in your post. How did you take it beyond the norm? 5. Offer technique ideas & suggestions for challenges. If you're interested in applying for the DT Call, please link up your most creative project below. It can be new or old but must be creative & demonstrate how you took a technique to the next level.